What Is The CV Joint? When Should You Have The CV Joint Repaired? What Is Done During An CV Joint Repair? 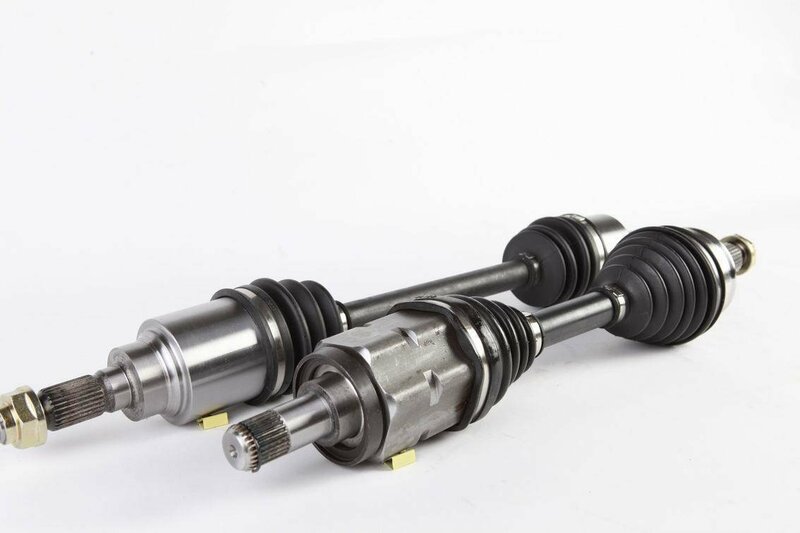 The CV joint in the axle shaft works to connect the wheels of your car to the gears, and typically only fails through a lack of lubrication or through excessive wear and tear. The most common reason for CV joint failure is a lack of lubrication, which generally means there’s an issue with the boot leaking grease. In the vast majority of cases a full replacement of the axle shaft will be recommended, as it the most cost-effective and straightforward way of dealing with a faulty CV joint. A CV joint replacement cost will generally be the same or more as having the axle shaft replaced, and this cost will depend on it being a single or a double replacement. Replacement axle shafts can be purchased for between $96 to $214 each, while the cost can be between $168 to $799 when both parts and labor are involved. The costs for a double axle joint replacement are, as you might expect, around twice the cost of a single. Costs can range from $149 to $399 for parts, while parts and labor will range from $235 to $1178 depending on the amount of work involved. As mentioned, the overall cost of CV joint replacement will depend on the type of car you drive and if it’s a single or a double replacement that’s required. The parts themselves can be ordered online from most major retailers, but the work itself is best performed by a trained mechanic as it’s a key component in the functionality of your vehicle. The CV joint is part of the axle shaft, alongside the shaft itself, the boots and the grease. 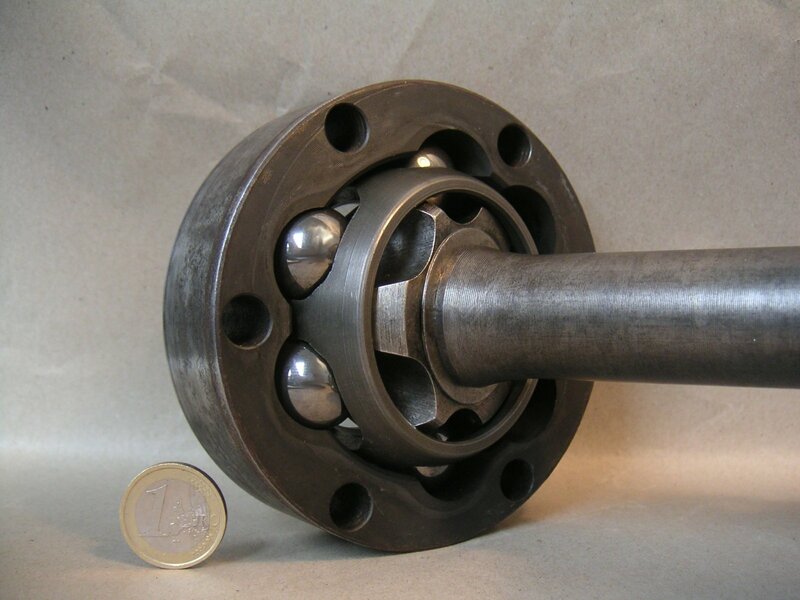 Axle shafts are occasionally known as ‘half shafts’ or ‘CV axles’, and they work to connect the wheels of the car to the gears in the transmission. The axle shaft is connect to the transmission at one end, while the other is connected to the wheels. The transmission rotates the shafts, which in turn causes the wheels to turn and allows the car to move. One of the most common reasons for failures with the axle shaft is grease leaking out through the torn boots. Without this grease the CV joint isn’t lubricated properly, causing dirt and other debris to enter the joint and ultimately causing it to wear out. Rather than replacing the individual components, the majority of mechanics will advise you to replace the half shaft completely. It’s a much more straightforward repair, and it will ultimately save you money in labor costs as the turnaround time is much shorter. The cost involved will also depend on the type of transmission and how many of the half shafts will need to be replaced. In a 4 wheel drive car there will be two at the front and two at the rear, so replacing them all can be an expensive job. Most of the time there will only be a single axle shaft which needs replaced, making it an easier and less expensive issue. A faulty CV joint can cause various issues with your car, including having an influence on the amount of power available to the wheels. The most common issue with a CV joint is a lack of lubrication, so it can cause a loud clicking noise when you’re making a turn. CV joint repair, or full axle replacement, can help remove this. Most cars should last a significant amount of time without any real issues with the axle shaft or the CV joint. The most common issue is with the outer CV joint, which is the cause of the clicking noise when making turns. In the worst case scenario the outer CV joint may crumble when you’re driving, which can leave the car unable to be driven. This can be avoided through regular maintenance and replacing the joint when required. There are several tell-tale signs that there may be an issue with the CV joint or the axle in general. A faulty axle will usually make a clicking or a clunking noise as you’re driving, usually due to an issue with lubrication. If you notice some vibration when you’re accelerating there may also be an issue. While this can also mean there may be a problem with the driveshaft, there may also be a CV joint issue depending on the layout of your car. You may also experience some steering issues, although this is more likely to be a driveshaft issue. More commonly you’ll notice a loud clicking noise as you’re turning a corner if there’s a problem with the axle shaft. Finally, you may notice that there’s grease on your cars wheels, particularly around the inner edge of the tires. This is indicative of a leaking boot, and will require repair urgently. If there’s a problem with grease leaking from a damaged boot then the axle can degrade pretty quickly, particularly the CV joint. Losing power to the wheels can be a serious issue, so if you notice any of these symptoms you should look to take your car to a mechanic as soon as possible. If the car is showing signs of axle damage, the mechanic will usually look to replace the axle shaft rather than the individual components. The repair usually begins with the mechanic jacking the wheels from the ground and removing the wheel itself. If the axle is found to be faulty, the mechanic will replace the full part with a new one. All the fasteners will be torqued to the recommended factory specifications, and the wheels will be put back on the vehicle. Tire pressure will be checked to ensure there are no issues, before a road test is performed to determine the success of the repair. While it can seem like a fairly major repair, replacing the axle on a single wheel shouldn’t take too long to complete. If there’s an issue with multiple faulty CV joints or axles you could be looking at a lengthier (and more expensive) repair for your car. The main way of saving money on CV joint repair is to simply replace the half shaft itself, rather than having fairly intricate repairs done on the joint itself. Most mechanics will recommend this as standard practice, so if they quote you for joint repair it’s worth asking about the cost of axle replacement as an alternative. While you can perform the repairs yourself, the axle shaft is one of the key components in the car so it’s best left to a professional if you’re not entirely confident in what you’re doing. You can shop around online and in person to get the best possible quote from the garages in your local area, so taking the time to compare estimates can save you money. To give you an idea of the cost of CV joint replacement we’ve pulled together some quotes for some of the most common cars in the country. The first table shows costs for a singe axle replacement, which will be for one wheel either at the front or the rear of the vehicle. The second shows the cost for double axle repair, which again can be for either the front or the rear of the car. For those with 4 wheel drive vehicles, expect to pay close to double to have all four axle shafts replaced – luckily this is a fairly rare occurrence, as the costs can add up quickly!